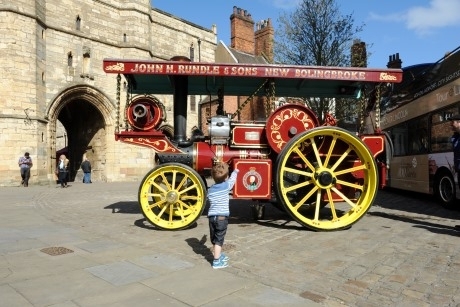 The Spark Engineering Festival which showcases Lincoln’s rich heritage in engineering will return to Lincoln Cathedral in May, and will welcome school groups. The festival, heading into its third year, will take place from 5th to 7th May, and offers plenty to support studies in STEM subjects. The theme for this year’s event will be ‘Back to the Future’. The event will focus on Lincolnshire’s pioneering stance on engineering innovation, from both the past and in the future. The Spark Engineering Festival, which is free to enter, will display cutting-edge developments relating to Maths, Science, Engineering and Technology from across the country. Schools will get to see a number of exhibits and interactive displays, including a 50-foot timeline covering the evolution of engineering in Lincolnshire. Pupils can also meet representatives from local firms and take part in a variety of hands-on activities. The festival reportedly aims to inspire all who visit, especially young visitors, and those who wish to follow an engineering career path. In 2015 the event attracted more than 8,000 visitors, which included teachers and students. Organisers from the festival say they hope to attract even more visitors this year. Paul Taylor, chief advisor to Zhuzhou CRRC Times Electric Ltd and chairman of the festival, said: “We are delighted to bring this festival to Lincoln for a third time. This festival is about increasing awareness of that engineering ingenuity and innovation in Lincoln and the surrounding area that has worldwide impact. For more information, visit www.sparklincoln.org.